I was born in Ashford, Kent, in 1946, and have been drawing and painting since childhood. Despite showing significant artistic ability from an early age, I was not sufficiently confident to pursue art as a career. However, the compulsion to observe, draw and paint has remained constant throughout my life. Inspiration came initially from the natural world. . For many years I worked in watercolour, creating detailed illustrative studies of the birds and plants of the of North Hertfordshire countryside where I now live. 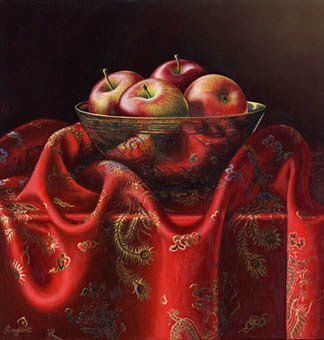 Since 1998 I have been painting full time, and I have taken the opportunity to develop my experience in other media and subjects. 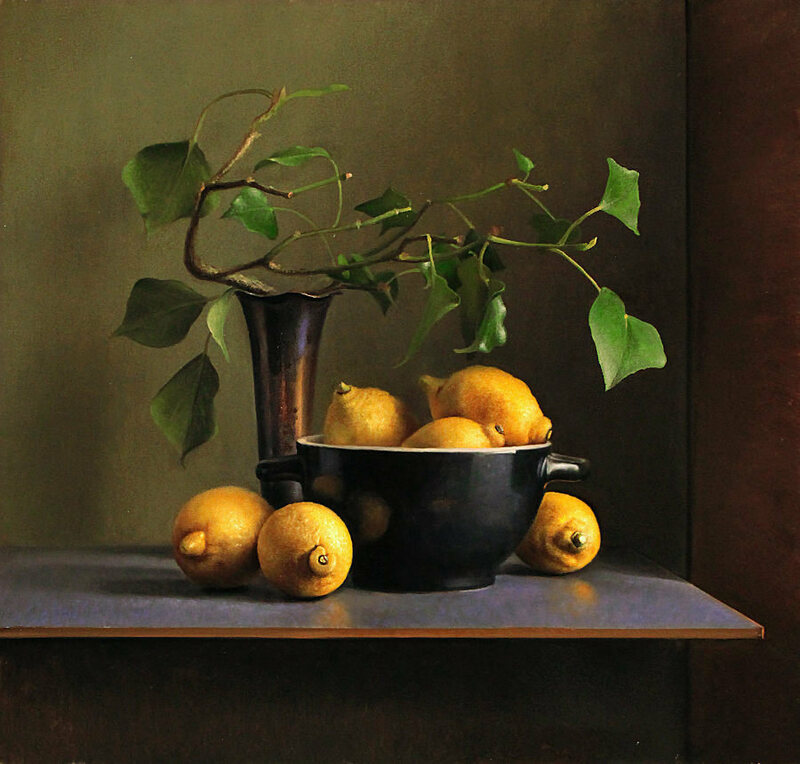 Over the last few years I have concentrated on still life in oils, inspired by the Dutch and Flemish Masters. Detail is built up in several thin layers of paint to bring out the various textures and the effects of light on everyday objects. I am not seeking to achieve photo-realism. The single camera lens records its own version of reality; its image is captured in a moment, determined by the shutter speed and focal length. My aim is to record what I see as accurately as I can, and also to convey an atmosphere of stillness and a timeless quality that develops with many days or weeks of close observation. 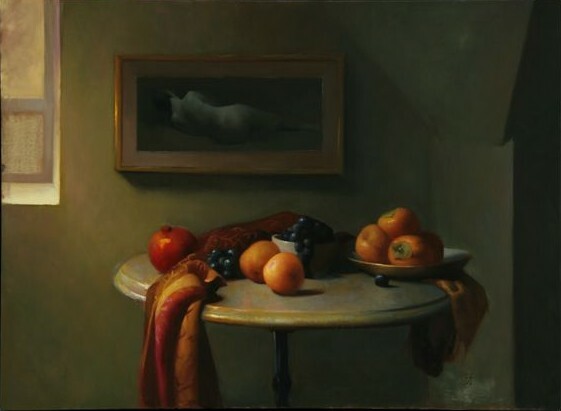 The idea for a still life composition often evolves quite slowly. It may be many months before a newly acquired piece can be successfully combined into an arrangement which will maintain my interest for as long as it takes to paint it. I love rich colours and contrasting surfaces and textures, and hope to inspire the viewer with the same enthusiasm.